With iOS 10, Apple finally lets you have an unlimited number of tabs open in Safari (the limit in iOS 9 was 36 tabs). With that many tabs, you need extra tricks like being able to close all tabs at once. 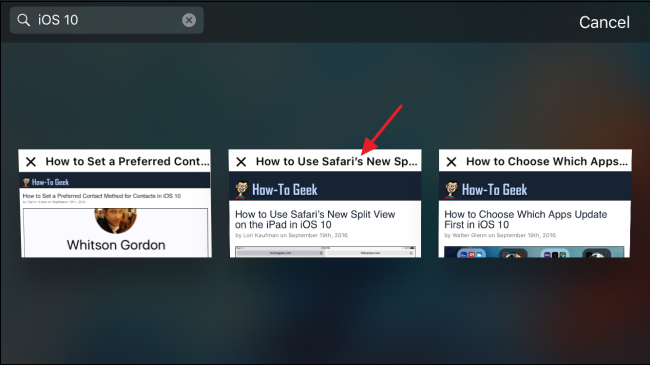 And now, Safari also lets you search for specific tabs by title. Here’s how. 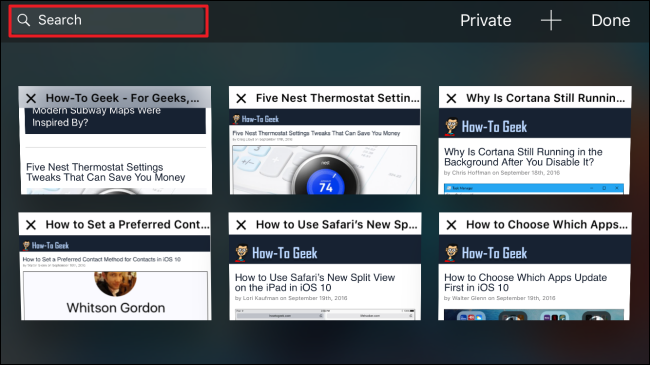 To search your open Safari tabs, you’ll have to rotate your device into landscape view. Why tab searching is not available in portrait view, we have no idea. But it isn’t. While you’re at it, you might want to lock the orientation of your device in landscape view because if you accidentally switch to portrait view, your search will disappear and you’ll have to start over. In landscape view, tap the Tabs button. You’ll see all your open tabs in a grid view. Type your keywords into the Search box at the top left. Remember that you’re just searching tab titles here, and not content. 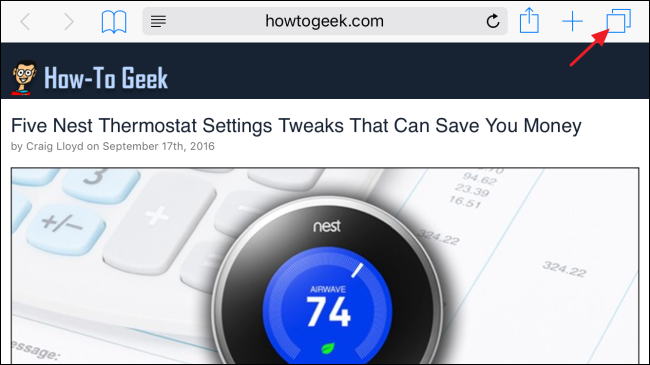 As you type, Safari narrows down the number of tabs shown to those that fit your search terms. When you’re done typing your search, tap the “Search” button. Scroll through whatever tabs matched your search and tap the one you want to look at. 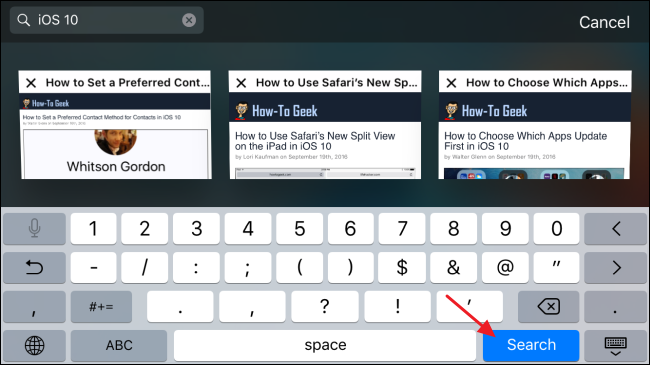 As long as you stay in landscape view and only read the tab you opened from search, you can tap the Tabs button again to return to the results of your search and look at another tab. However, if you tap a link to browse to a new page or open a new tab, the search will reset and you’ll have to type it again. Yes, it’s a little weird having to use landscape view and how easy it is to reset your search by accident. But, now that you can have so many tabs open at once in Safari, it is nice knowing you have an option for searching them.